Denise Souza Finney paints in acrylics with some occasional mixed media used. 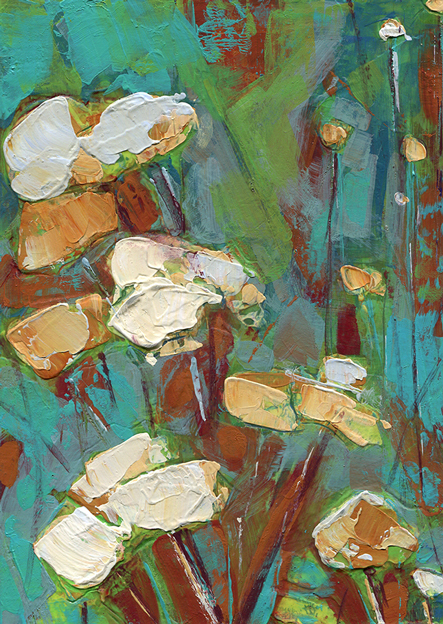 She works in her studio in Ashland which is housed in a beautifully restored century old barn called The Garden Studio. Her work explores the figure and the poppy flower as her subject matter. Her paintings focus on movement and gesture incorporating line, color and texture to create a layered image.